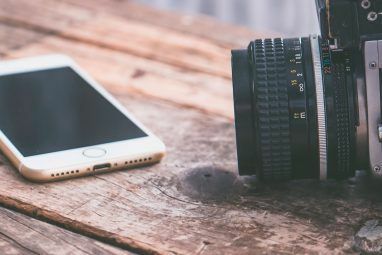 When you’re getting started on Instagram, there are a few tips and tricks to bear in mind to make sure that you hit the ground running. 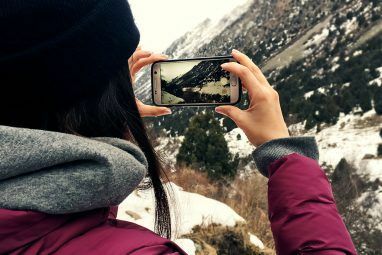 The popular app is part photo-sharing site and part social network, and finding the right balance on how to use it, and following certain rules of etiquette can make you a popular, and engaging user. Once you’ve got the basics, following the Instagram tips below, on how to get the most out of the site and to fit right in, there are a few more tips that you can follow that will get you more likes and followers. Check out our tried and true Instagram tips for getting tons of likes 5 Tried & True Tips For Winning At Instagram & Getting Tons Of Likes 5 Tried & True Tips For Winning At Instagram & Getting Tons Of Likes When it comes to getting noticed on Instagram, there are basic rules to follow as would be the case with any social network - post regularly, interact with users, include an interesting description with your... Read More . 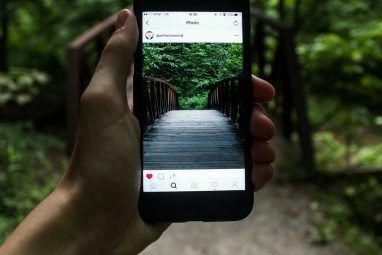 And don’t forget, Instagram isn’t just a photography app, it’s a community Instagram Isn't a Photography App, It's a Community [Opinion] Instagram Isn't a Photography App, It's a Community [Opinion] Over the past month, there's been a renewed deluge of articles arguing over Instagram's merit as a photography tool. Every so often, tech bloggers, photographers and journalists come together in a discussion over the merits... Read More . It goes far beyond just posting your photos – it involves engagement and interaction, and these tips will help you find your way right into the community. One of the first Instagram tips goes for any social network, blogging platform, or content curation service: space out your posts. Intentionally or unintentionally, don’t forget posting for weeks at a time and then suddenly flood your followers with ten photos a day. Depending on how many followers you already have, you probably shouldn’t post more than twice a day, otherwise your followers might get sick of seeing you in their feed, no matter how great your photos might be. There is nothing more annoying on Instagram than looking up a hashtag and finding it spammed with photos that don’t relate to the topic. This is particularly frustrating when it’s a hashtag that is used to curate and recommend content. So while you should never use hashtags that are not relevant to your photo, you should definitely select a few hashtags to get your photo more exposure. Using hashtags is a great way to get noticed on Instagram, and if you stay true to the content of your photo, it will definitely earn you more likes, follows and comments. A popular rule among Instagram old-timers is the 1-2-3 rule. The 1-2-3 rule means that for every 1 photo you post, you should comment on 2 others and like 3. This is often used by users who are curating submissions by other Instagram users, like Josh Johnson’s popular forum, and the Instagram account, Monoart. While there’s nothing wrong with posting a few self-portraits, don’t let that dominate your Instagram feed. And if you are going to post photos of yourself (or your friends), for the love of god, avoid the duckface pout that has become a staple of all teenage photos on every social network known to man. Don’t ask for attention. This is a basic rule of any social network and it’s one that should definitely be followed on Instagram as well. Asking for attention, or asking users with a lot of followers for a ‘shout-out’ only makes users look desperate. If you want to be noticed on Instagram, let it be for your photos, and not because you asked someone to notice you. Any social network involves a delicate balance of not expecting reciprocation but also reciprocating when you can. Don’t follow a user and unfollow them days later if they don’t return the favour. You also should not feel obliged to follow other users back. How you can reciprocate, however, is that if someone leaves a thoughtful comment on your photo – try to do the same. If someone likes a photo or two of yours, find a photo or two of theirs that you can add to your favourites. But, as is the case with following users back, only add photos to your favourites if you genuinely like them. 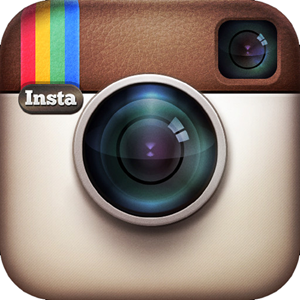 You can always use Instagram’s web-based interface to make that task of reciprocation a little bit easier. If you’re looking for an even more robust desktop experience for Instagram, check out 6 sites that can enhance your Instagram experience 6+ Sites That Enhance The Instagram Experience 6+ Sites That Enhance The Instagram Experience Read More and 9 more tools that help you get more out of the Instagram experience 9 Beautiful and Useful Instagram Tools to Get More Out of the Service 9 Beautiful and Useful Instagram Tools to Get More Out of the Service After telling you how you can browse Instagram on the Web and on your desktop, after teaching you how to backup your Instagram photo collection, and being pretty sure you all know how to use... Read More . Many Instagram users have the habit of checking out your feed and then giving you 10 or 20 likes in a row. While this can come across as flattering at first, it can also be a little frustrating, especially if you have notifications on your phone turned on. Rather than flood a user with a ton of likes, pick two or three photos that really stand out and like them. Otherwise it can come across as an effort to get likes back, rather than a genuine compliment. Instagram doesn’t allow users to create albums or organize their photos in any way. Since all of your content is viewable from one single feed – be sure to always post only your best. With any social network or photo sharing site you want to put your best foot forward, and Instagram should not be any different. When you take several photos at one location or of one subject, pick one or two that you feel really stand out and post those. After a while, as you scroll through your Instagram feed, you’ll be greeted with a beautiful representation of your work. What Instagram tips would you add to this list? Let us know in the comments. Explore more about: Instagram, iPhoneography, Photo Sharing, Smartphone Photography. Also I can say that better use some apps. My experience says that with apps you won't wait for followers. I used zen-promo.com to get more followers in the beginning and it helped me a lot. It motivates you to keep going. The tips are decent. Thanks. Love "Use the 1-2-3 rule"